Here is a Variety of our Family Albums... Created with much CARE and great JOY... Displayed beneath for your convenience *(audio selections as well), from our *LISTEN to SAMPLES page... CHOOSE from one (or All) of your FAVORITE(s)! We have kept the cost very LOW with YOU in mind... We APPRECIATE YOU! And we WISH you to Know that our Ministry would be NOTHING Without YOU... and the GREAT GOD WHO we SHARE in Common... WHOM we LOVE and DELIGHT to SERVE!!! Just CLICK LINK above to Hear Tayla Reciting the 23rd Psalm on You-Tube! Beyond ADORABLE! This SPECIAL album is our very FAVORITE because it DELIVERS the PRECIOUS tones of a 2 year old... Expressing the HEAVENLY SOUNDS of GODS WORDS set to MUSIC! 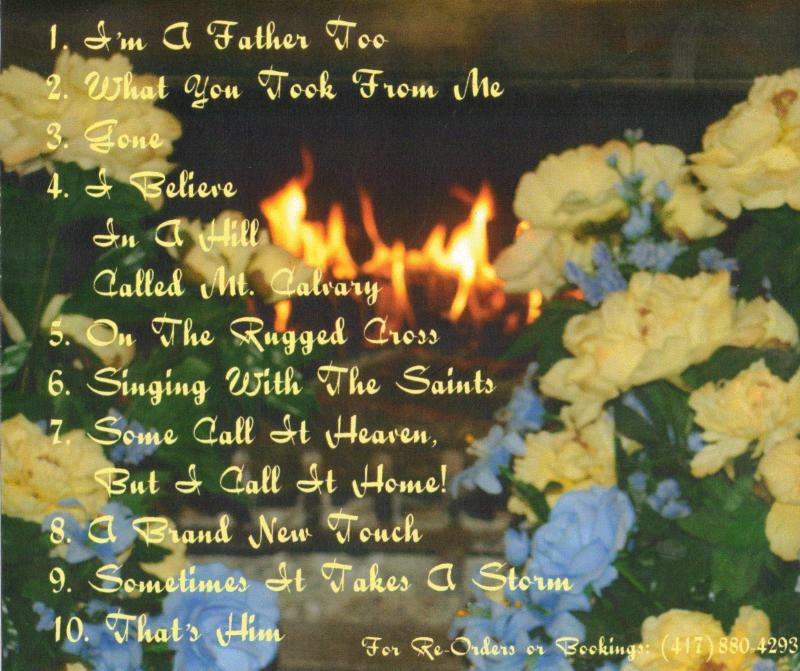 Combined with original Poetry, Songs & Scripture...Papa Brad Narrates and SHARES Christian JOKES with our GrandaughterTayla that DELIGHTS the entire family... As well as people of ALL ages, and all walks of LIFE!! NanaTana comes to visit too!Lending her Wisdom... and Sharing a Poem, and a Song or 2... and even SINGS one with TAYLA! Be PREPARED for an IMPACT of GODs Spirit such that you have never felt or dreamed possible before! ANYTIME you need to FEEL BETTER just POP this ANNOINTED c.d. in... and ENJOY! 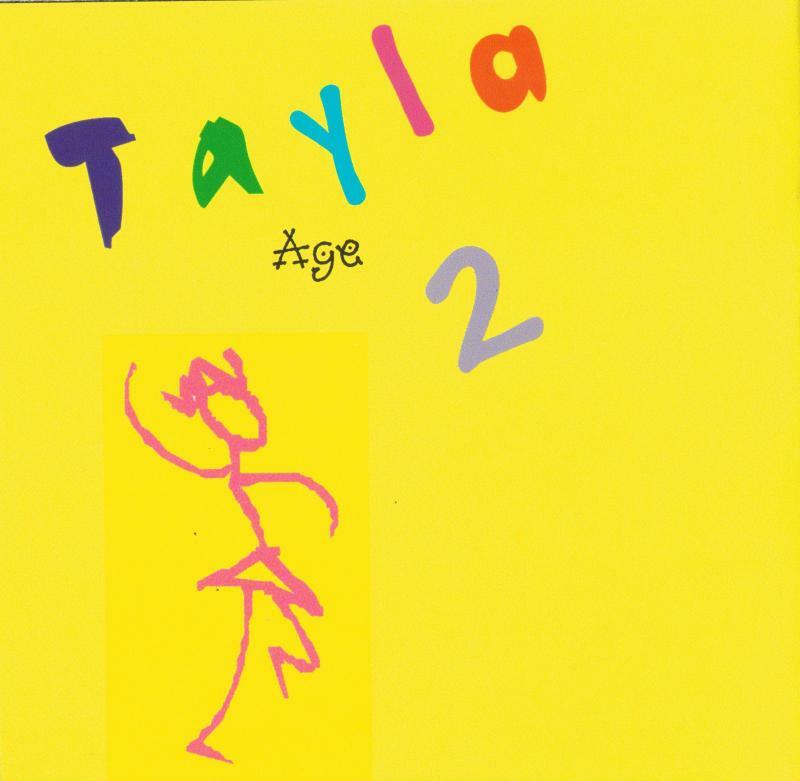 BONUS Blooper track added... showing unbelievable & hallerious ORIGINAL recordings of Tayla! :) This entire project took 7 months and 1000 hours to complete http://www.youtube.com/watch?v=eVGxLPbIJK0&feature=colike Just Click Link above for Adorable Tayla Jokes on You-Tube! 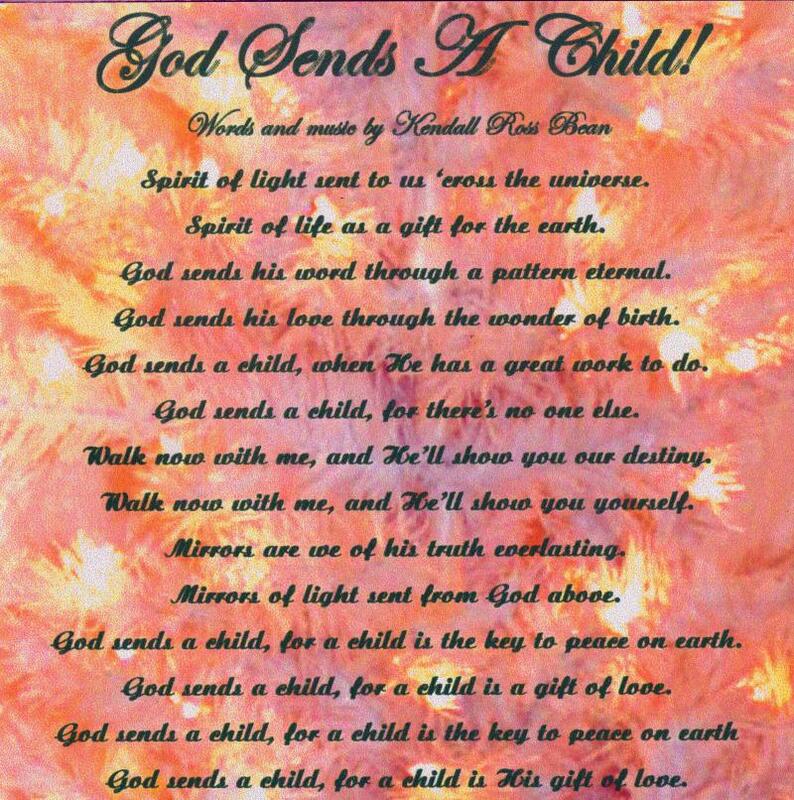 GOD Sends A CHILD! JESUS is the Reason for the Season as Nana Tana brings HEAVEN to Earth in this JOYOUS & Spectacular Musical CELEBRATION of GODs Only Begotten Son! Let the SPIRIT of CHRISTMAS engulf you & extend your JOY throughout the entire New Year... As Nana Tana, & her Lovely Daughter Sheriee, lend their individual GOD Given Artistries... and SING for you many Majical CHRISTMAS Carols, as well as several MASTERFUL all time CLASSICS that can be ENJOYED ALL YEAR LONG! 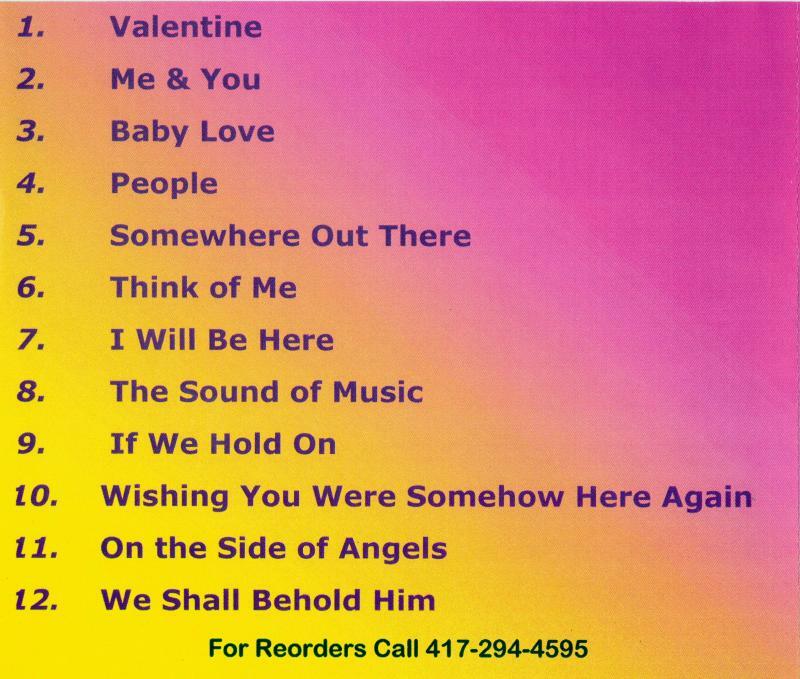 Classics such as "Ave Maria" "Mary Did You Know", "God Help the Outcast", & Kendall Ross Beans SPECTACULAR "God Sends a Child!" Baby Tayla hides and PLAYS "Peek a Boo" in Nana Tanas' Skirt Tail... FULLNESS of JOY! 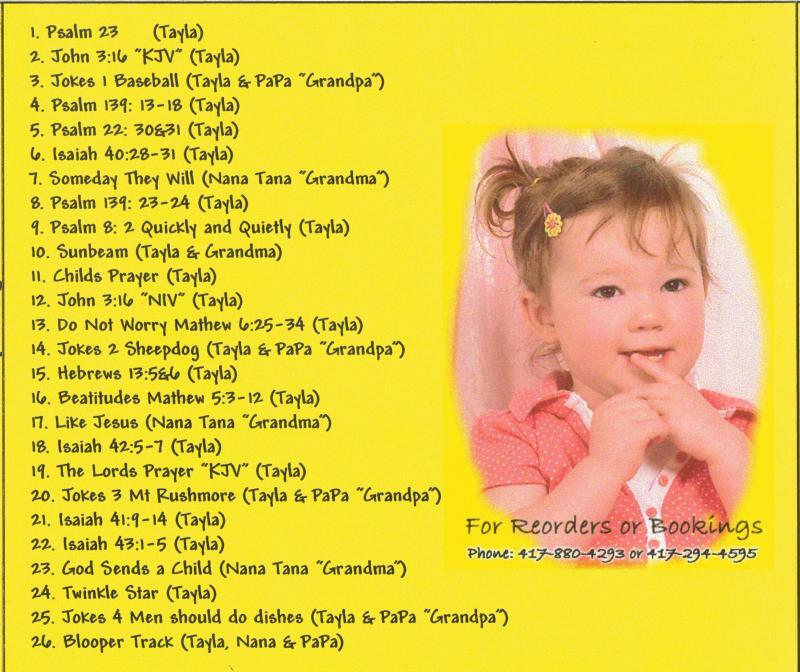 Taylas' Mama "Sheriee" sings 2 songs, with her GOD given voice, on the family album! Baby Tayla BLOWS you a KISS Bye-Bye and says THANKYOU!! ME and YOU! 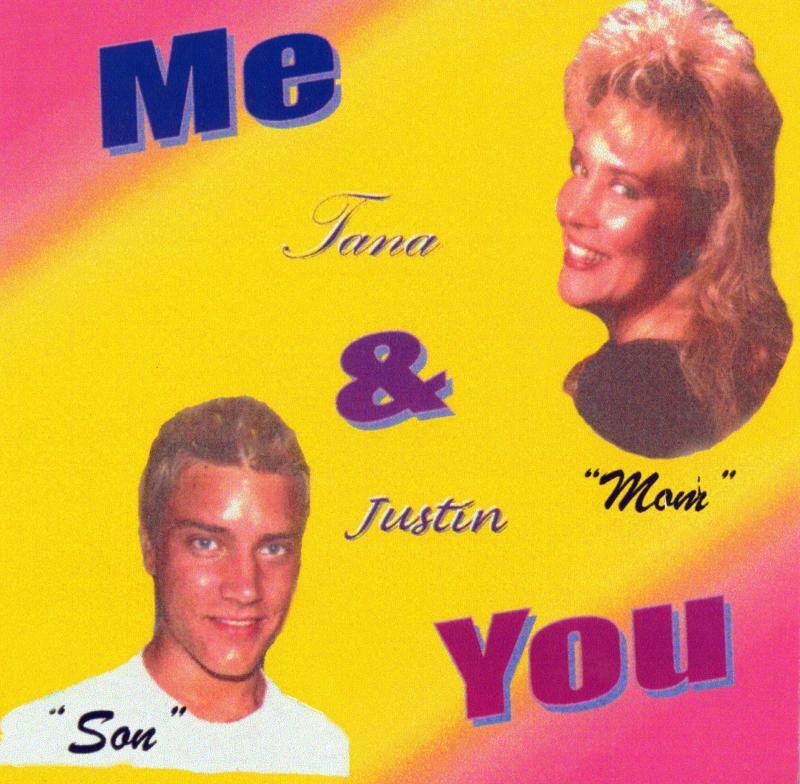 Nana Tana & Son Justin! ENJOY one of the Worlds' FEW Mother/Son Duos! DYNAMIC & AMAZING... yet NOT of this WORLD... OUT of this WORLD! 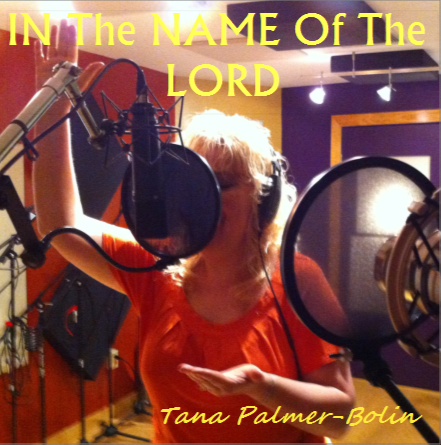 An echo of her Heart~ "IN THE NAME OF THE LORD" cd is a compilation of some of TANA'S all time FAVORITES from over the years... 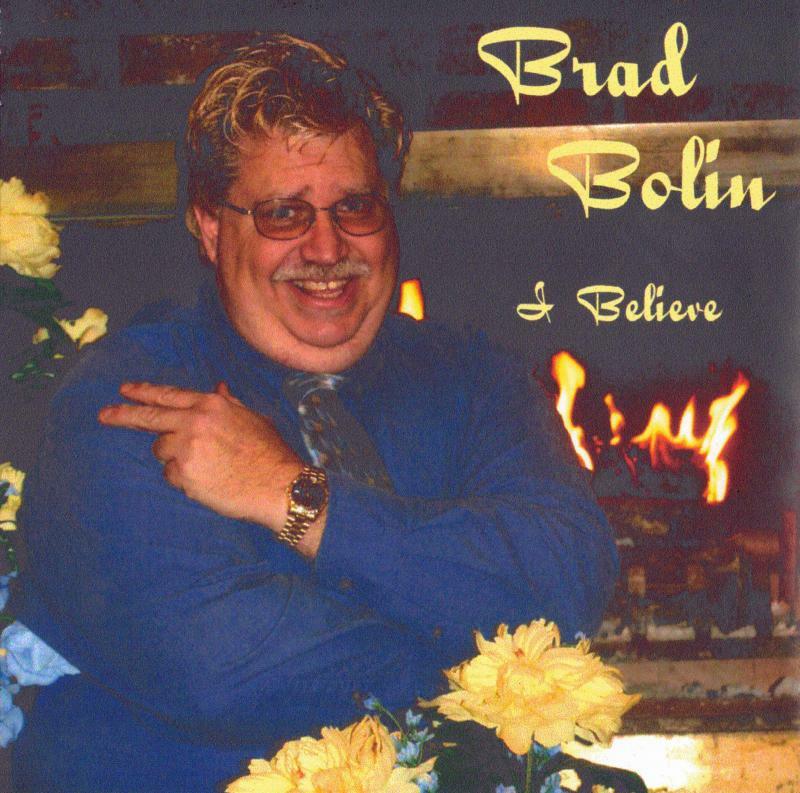 Featuring several Sandi Patty songs~ who Especially impacted her Life GREATLY! 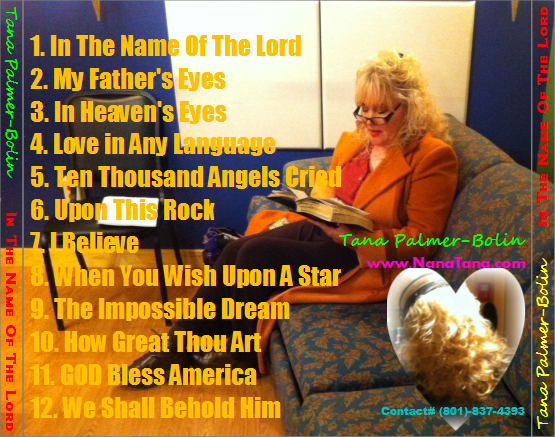 ENJOY WORSHIPPING GOD with NanaTana~ as she Sings with all of her HEART~ Special Songs Resounding her TESTIMONY of JESUS CHRIST~ from her LIFE'S JOURNEY! PLEASE bear in mind that 100% of our CD sales, (as well as ANY Love Offerings or Donations), goes to the Furthering of our Ministry... Which, in the end, translates into MORE HEARTS TOUCHED, BURDENS LIFTED, Bodies HEALED, Souls SAVED, and LIVES FOREVER CHANGED!!! With GREAT LOVE and GRADITUDE... In our SAVIORS' LOVE! From Our House to YOURS!